DESPITE having started the 2017-18 National First Division (NFD) with a loss at the weekend, Jomo Cosmos boss Jomo Sono has a gut feeling that Ezenkosi will be “serious trouble” for their opponents during this campaign. 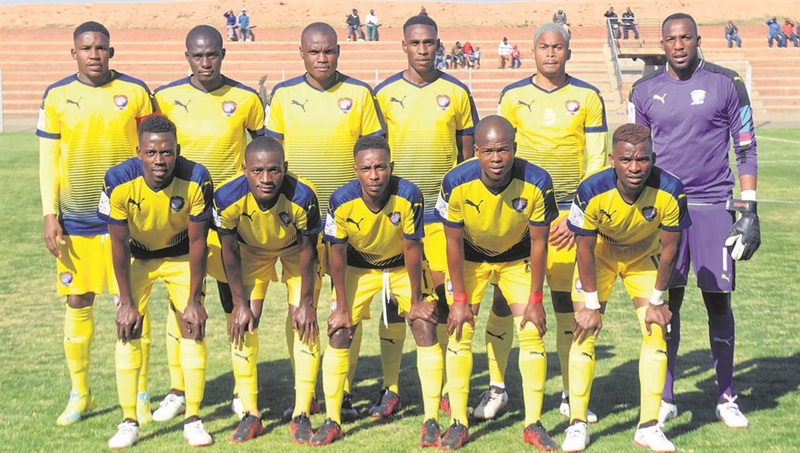 Ezenkosi lost 1-0 to Highlands Park on Saturday but Sono reckons they will vent their frustrations on Shaun Bartlett’s University of Pretoria this Sunday, saying they will be going on an all out attack for points. His confidence has grown with the acquisition of goalkeeper, Kgosi “King” Ndlovu, who Sono says is very talented and will prevent Cosmos conceding goals. “He is well built and can save us from silly goals,” said the Cosmos boss. Ndlovu have trained with Kaizer Chiefs and Mamelodi Sundowns, and was also listed in Owen Da Gama’s Under-23 squad, only to be discarded later on. “We will be serious trouble this season,” Sono said, making it clear that he would not be talking about promotion to the PSL because that is not his priority at this stage. Next in their sights will be new Limpopo outfit Tshakhuma Tsha Madzivhandila and Sono regards this as an opportunity to collect maximum points early in the season. “The players are coming to the party and understand what I want them to do. They are real professionals,” he said.